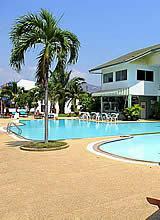 On our news page you find all the latest news from Cha-Am in Thailand. Happy New Year 2014 / 2557 in Cha-Am! Traditional the New Year 2014 / 2557 is celebrated at the beach promenade of Cha-Am, together with thousands of Thais. 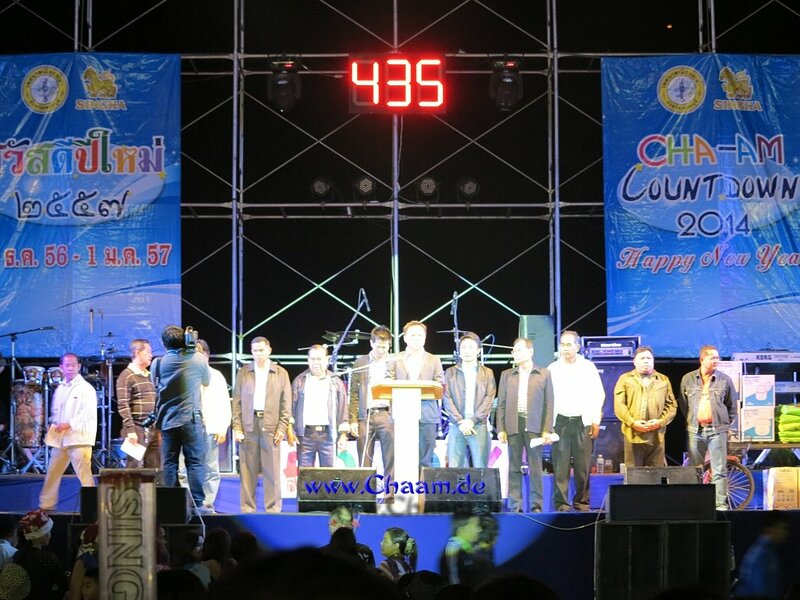 Shortly before midnight occurs, the mayor of Cha-Am holds his traditional New Year speech. Read >> here >> the full article. The many construction projects in Cha-Am overtax the local power grid. Consequently the old electricity system must be expanded and renewed. 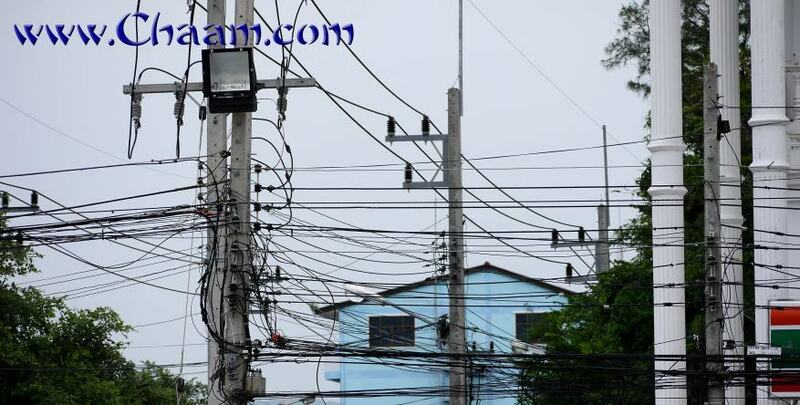 There have been too many blackouts in recent years and now power company of Cha-Am has decided that on 3 May 2013 from 9 a.m. to 5 p.m. the power supply will be switched off, that the renovation work can be performed. Cha-Am is preparing for the Songkran water festival! 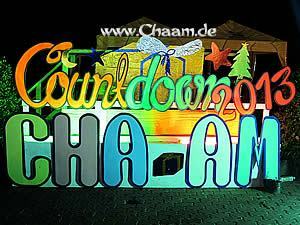 Well, the New Years Eve 2013 was once again a sensation in Cha-Am! What is more beautiful than spending New Years Eve under the palm trees, with funny and happy people? The new Santorini Park is open! Directly at the highway 4, the Phetkasem Road, is the Santorini Park located. Is this theme park with factory outlet shopping worth a trip worth? >> Read our report >> and take your own decision! 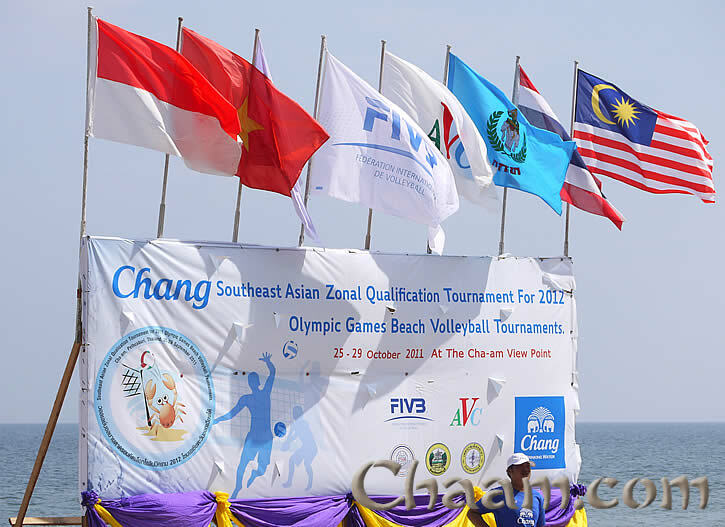 The Beach Volleyball qualification tournament of the south east asian countries (Malysia, Indonesia, Vietnam and Thailand) for the Olympic games 2012 in London has started today and the Thai Woman wins against Indonesia 2:0 !!! Today was a hot day at Cha-Am beach. But not only the 45 degrees Celsius in the sun, the Olympic games 2012 tournament of the south east asian countries just started today. The male and female teams of Malaysia, Vietnam, Indonesia and Thailand are playing Beach Volleyball and the winners can fly to the Olympic Summer Games in London. The Thailand woman are very strong and won sovereign 2:0 against Indonesia. 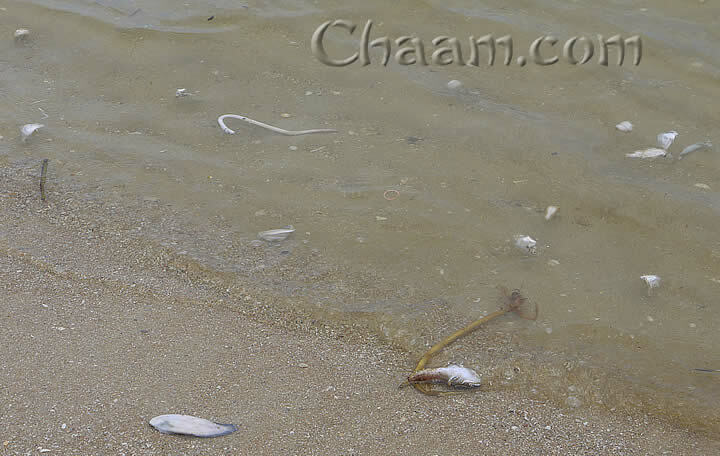 We begin with the news unfortunately with a sad topic, because in Cha-Am the beautiful white beaches are covered with dead fish. Unfortunately, this is the result of the flood disaster, which has lasted for several weeks in northern Thailand. The summer southwest monsoon is much stronger than usual, the rivers swell up and flood land and industrial areas. The dirty water flows into the Gulf of Thailand, and mixes with the salt water. The salt level of the water decreases, and most fish can not survive the transition and also not the chemicals, that float in the broth. Read >> HERE >> the full article of the fish kill in Thailand, on the beaches of Cha-Am.